The impact of the OPEC production cuts could be much more muted than many had hoped for as non-OPEC output comes roaring back in 2017. And it isn’t just from U.S. shale. The IEA predicts that non-OPEC countries on the whole will add 380,000 bpd of net capacity this year, and crucially, that figure includes the promised 558,000 bpd reductions that 11 countries promised in conjunction with the OPEC cuts. Of course, U.S. shale will be a major factor in this output rebound. In its latest Oil Market Report, the IEA revised up its forecast for U.S. production this year, expecting gains of 170,000 bpd. Drilling activity is rising quickly – in December, the U.S. saw the largest monthly increase in the rig count in more than two years. Capex is rising, employment is positive, and the industry is becoming more efficient at drilling. 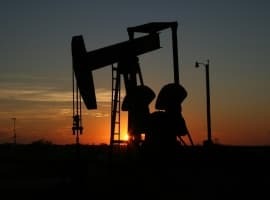 “Whether it be shorter drilling times or larger amounts of oil produced per well, there is no doubt that the U.S. shale industry has emerged from the $30/bbl oil world we lived in a year ago much leaner and fitter,” the IEA said in its report. Elsewhere, the gains could be even more substantial. For example, Brazil and Canada, home to major offshore drilling and oil sands, respectively, have long-term projects planned years ago when oil prices were much higher set to come online. Together, Brazil and Canada could add a hefty 415,000 bpd this year. As such, the resurgence of oil production from different parts of the world will take the wind out of the sails of the OPEC deal. But as the U.S. and other non-OPEC countries bring production back to the market, the OPEC deal will help tighten global supplies, even if only modestly. While it is still too early to tell whether or not OPEC will adhere to the promised cuts that it laid out in November, the latest data is encouraging – OPEC output fell by 320,000 bpd in December, largely because Saudi Arabia moved quickly to lower output, while unplanned outages in Nigeria added to the reductions. The “early indications suggest a deeper OPEC reduction may be under way for January, as Saudi Arabia and its neighbors enforce supply cuts,” the IEA said. The Paris-based energy agency says that if OPEC were to comply with the deal, it would imply a drawdown in global inventories on the order of 0.7 mb/d for the first six months of 2017. Indeed, the IEA offered some reasons for bullishness on crude. Global inventories of petroleum products in OECD countries – rich countries that the IEA specifically tracks – fell for the fourth consecutive month, although they still hovered more than 300 million barrels above the five-year average. The IEA believes that global stocks probably continued to increase towards the end of 2016, with storage levels in China and India likely rising. On the demand side of the equation, things are much quieter. The IEA revised up its estimate of global demand growth for 2016 by 110,000 bpd to 1.5 mb/d. This year will be slower, with growth of just 1.3 mb/d. In short, the IEA sees the market moving towards a supply deficit in the first half of this year, helping to bring down oil inventories. But non-OPEC supply increases could offset that momentum towards balance. IEA’s estimates for U.S. shale could also be on the conservative side. For its part, OPEC thinks U.S. shale will rise by 230,000 bpd instead of the IEA’s 170,000 bpd figure. It is important to note that these are annual averages; the IEA’s executive director Fatih Birol said earlier this week that he expects U.S. shale to end the year 500,000 bpd higher than at the start of it, the largest annual increase in history. The end result could be higher prices in the near-term, but a renewed downturn in prices as U.S. shale comes back. “Prices will go up, U.S. and other production will go up and put downward pressure on prices again. And up and down. 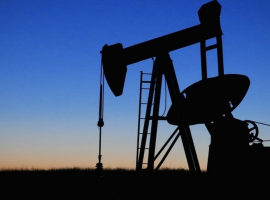 We are entering a period of greater oil-price volatility,” Birol said this week. What Stopped The Oil Rally Dead In Its Tracks? When non-Opec production climbs up 300k barrel / day and demand increases by 1.3 million, even a greater than expected shale recovery will keep oil in a deficit? By the way, many countries are in decline, and perhaps many have damaged their wells by pumping as much as they can to keep the dollar rolling during the low prices.